Think you have what it takes to be a Marvel super-hero? 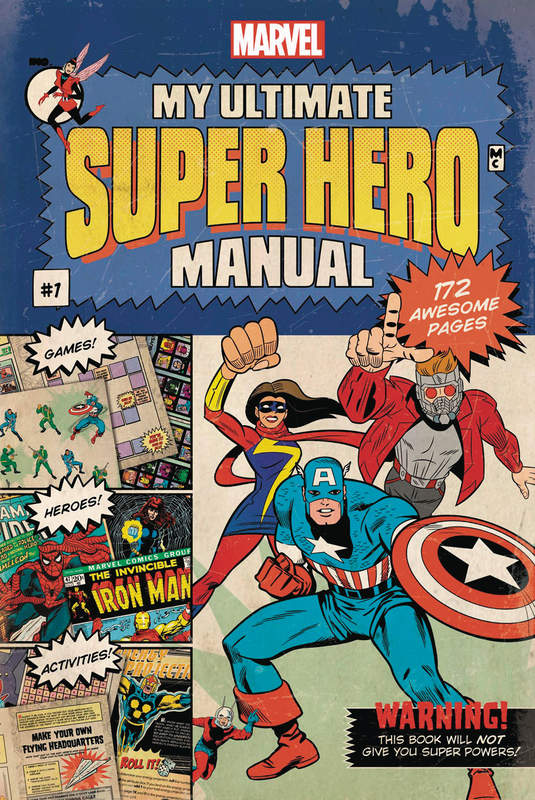 Read this book for tips, tricks, and much more from your favorite Marvel characters. You'll start by figuring out your awesome origin and powers: bit by a radioactive spider? Easy. Walk into a mysterious mist and now you're a shapeshifter? Check. Then you'll have to figure out your costume, your headquarters, your allies, and your enemies! Don't worry, there are checkpoints along the way, plus quizzes, how-to's, and do-it-yourself activities! Once you have everything in place, it will be time for some astonishing adventures!